Commemorated Memorial Day, 2016- The Soldier’s Cross, or Battlefield Cross is a visible reminder of the fallen soldier. 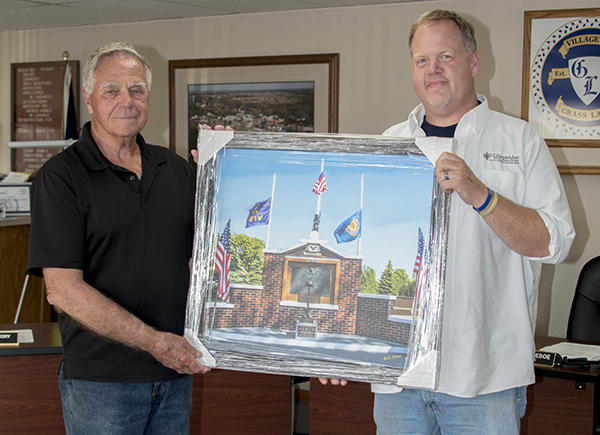 Local photographer, Dale Fisher presents Joe Deboe, Village Council President with a photograph of the Soldier’s Cross which he took at the 2016 Memorial Day Remembrance. 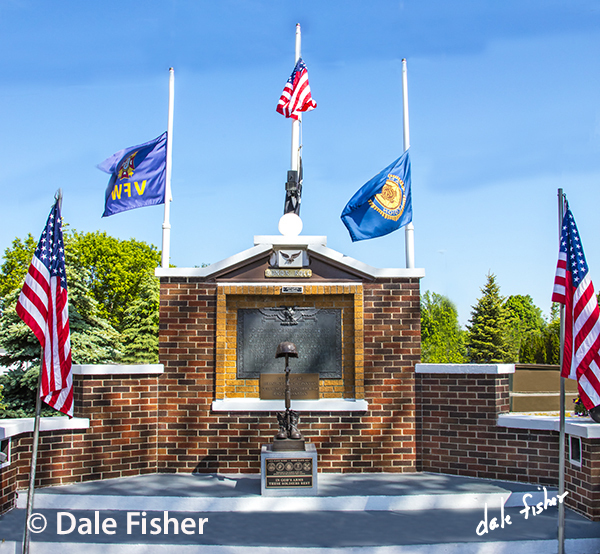 Installed by Grass Lake Veterans from American Legion Post 252 and VFW Post 10194, The Soldier’s Cross, or Battlefield Cross is a visible reminder of the fallen soldier. The helmet and identification tags signify the fallen soldier, their names never to be forgotten. The inverted rifle with bayonet signals a time for prayer, a break in the action to pay tribute to our friend. The combat boots, worn and dirty, represents the final march of the soldier’s last battle.